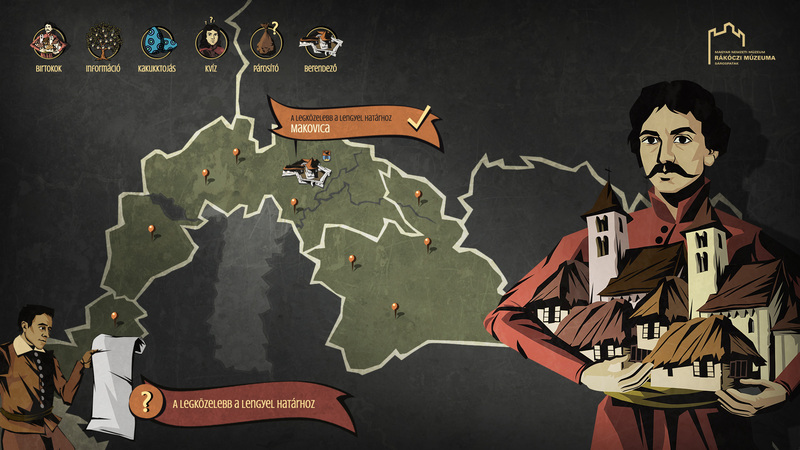 The glorious age of the Rákóczis - interactive games - Pazirik Informatikai Kft. | Pazirik Informatikai Kft. 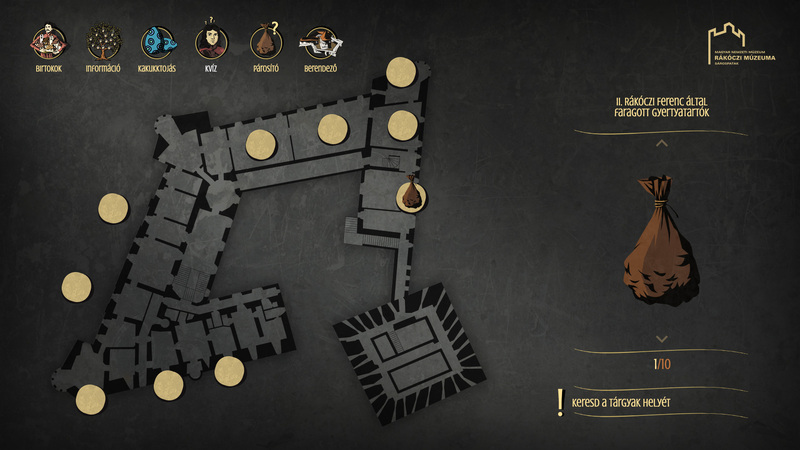 We have developed interactive games diversely processing the topics of the glorious age of the Rákóczis permanent exhibition in the Rákóczi Múzeum of the Magyar Nemzeti Múzeum. 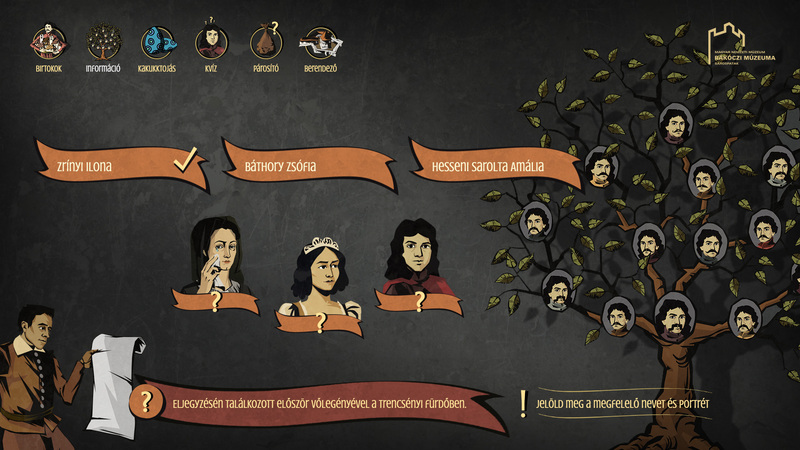 The image of the game organically fits the 2D movie broadcasted in the exhibition thus enstrenghtening the unity of the topic. 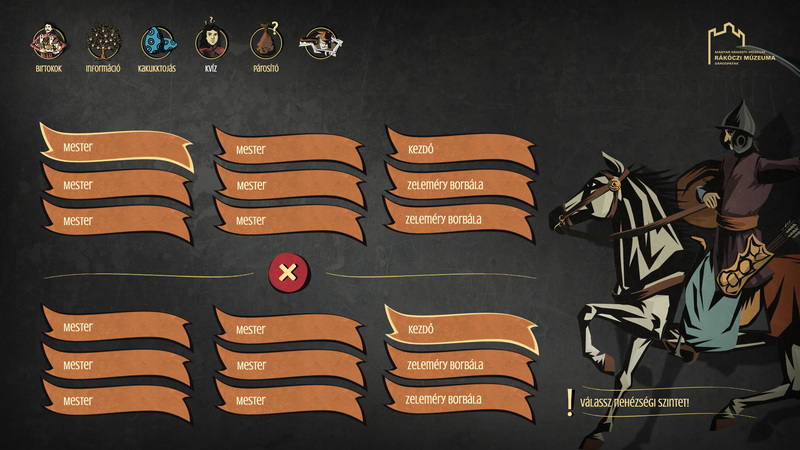 The visitors may gain information in a playful way, about the family tree of the Rákóczis, their fiefdoms, relative and friend connections, inventory of the family and many other things.